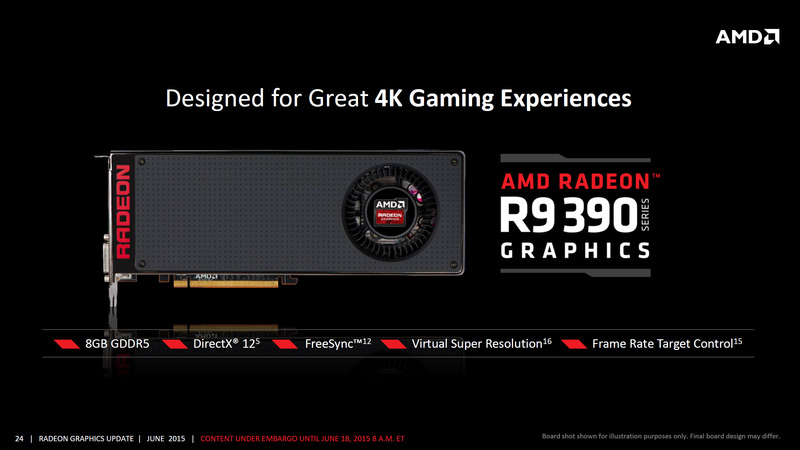 The AMD Radeon R9 300 series launched officially a few days back and consisted mostly of re-badges. The generally accepted Industry definition of a GPU rebadge is when the same silicon is put into a new graphic card with the same or different name. AMD has however, given a clarifying statement (via VRWorld) claiming the R9 390 Series (X and non-X) are not rebadges due to reasons given below. To be fair, the Radeon R9 390 isn’t really a re-badge of the R9 290 since there was never an 8GB version of the R9 290. The R9 390X on first sight does qualify as a textbook rebadge. However, there is something in AMD’s clarification that begs to differ. Red states that the GPU power management micro-architecture was “completely re-written”. If that is true, then technically, you cannot call Grenada a strict rebrand. You can’t, strictly speaking, call it a brand new silicon either and hence our dilemma. If you are going by the norm that has been followed uptill now, Grenada would tend to qualify as a rebrand. In AMD’s defense however, there are certain hardware/software changes in the new chip that would put it at the periphery of something that isn’t Hawaii. To cut this rather confusing story short, the R9 390 series 1) has a more efficient architectural revision of Hawaii 2) has higher memory bandwidth than Hawaii and 3) has a better power management micro-architecture than Hawaii. Since we are mostly dealing with interpretation and definition of the word “Re-Badge” I will not conclude with any concrete answer, rather leave it up to the readers to decide for themselves whether the flagship lineup of the Radeon R9 300 series is a rebadge (of the R9 290 Series) or not.